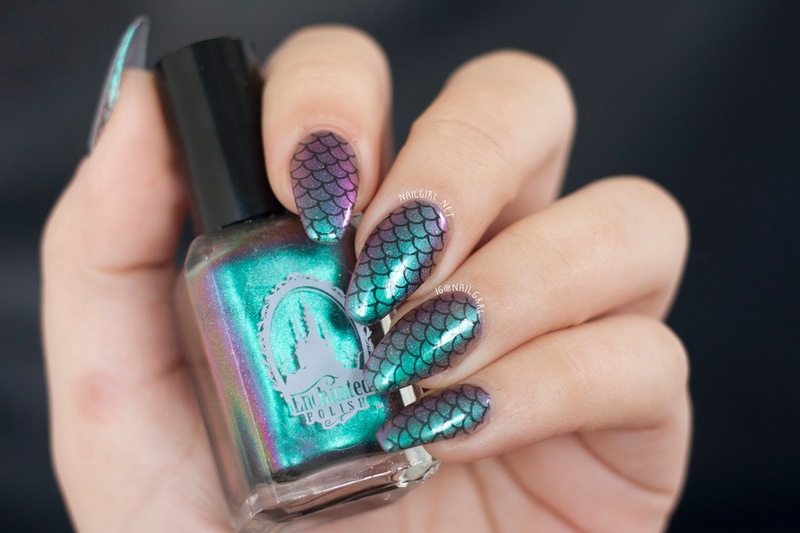 Nail Art & Review: Lady Queen Stamping Plate NA0548 - Mermaid Nails! LadyQueen generously sent me two stamping plates for review, and today I'll be reviewing the NA0548 plate, also labelled as the 'héhé 005' plate. It has four patterns on it, and the pattern that I used today is the scale pattern on the upper left of the plate. The design itself is clear and free of any marks. The plate also came with a protective blue layer over the top to protect it from damage in transit. The edges of the plate were sharp, so I recommend using a plate holder similar to this one, and carefully avoid holding the plate by the edges when wiping it clean! 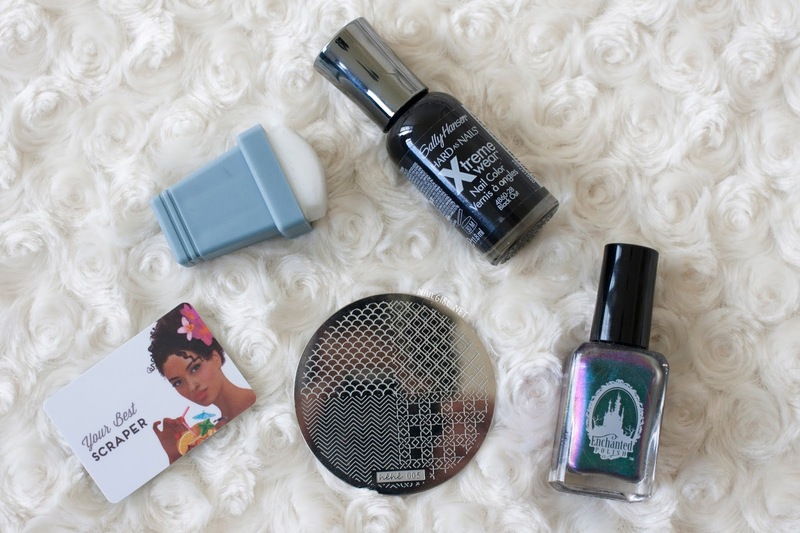 The polishes I used are Sally Hansen Black Out and Enchanted Polish Magical Mystery Tour, a gorgeous holo multichrome. 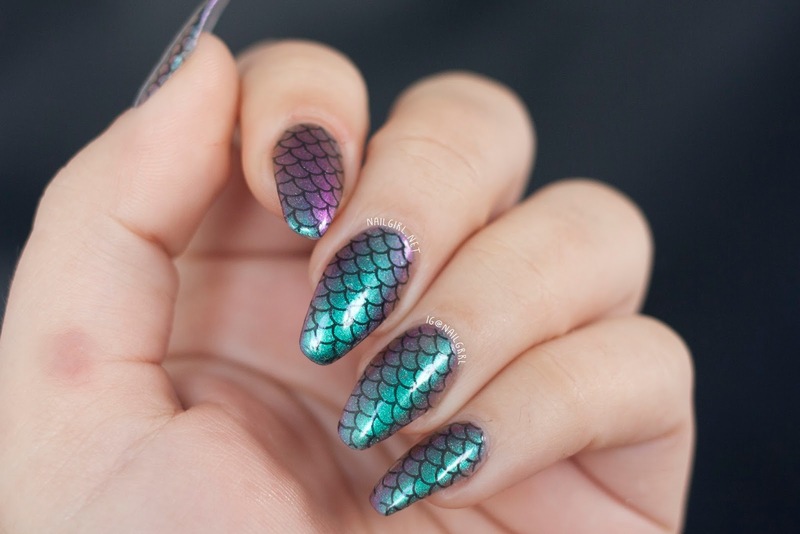 You can see that I probably needed more practice aligning the image perfectly on my nail, but otherwise they all turned out wonderfully. 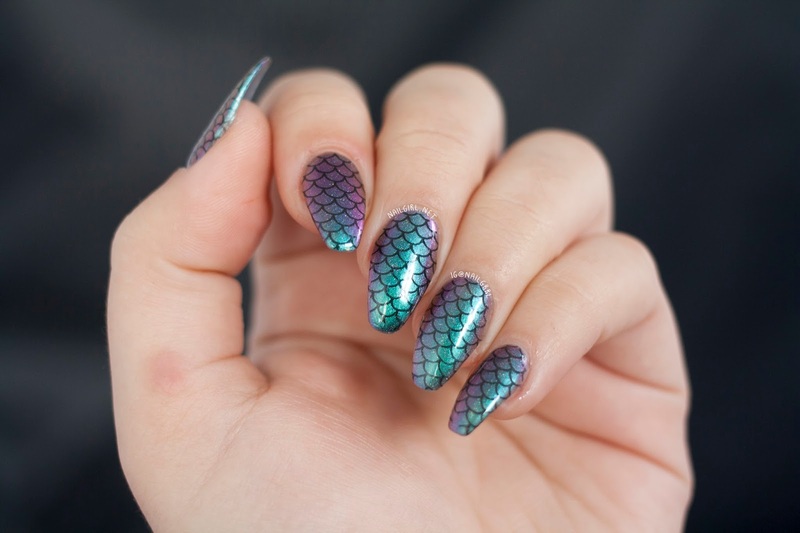 I love love LOVE how these look like mermaid nails! Overall, I'm really happy with how this mani turned out, and I can't wait to try the other stamping plate. LadyQueen have also kindly provided me with a code just for you! Using DRLC15 at check out gets you 15% off any purchase. Happy shopping! 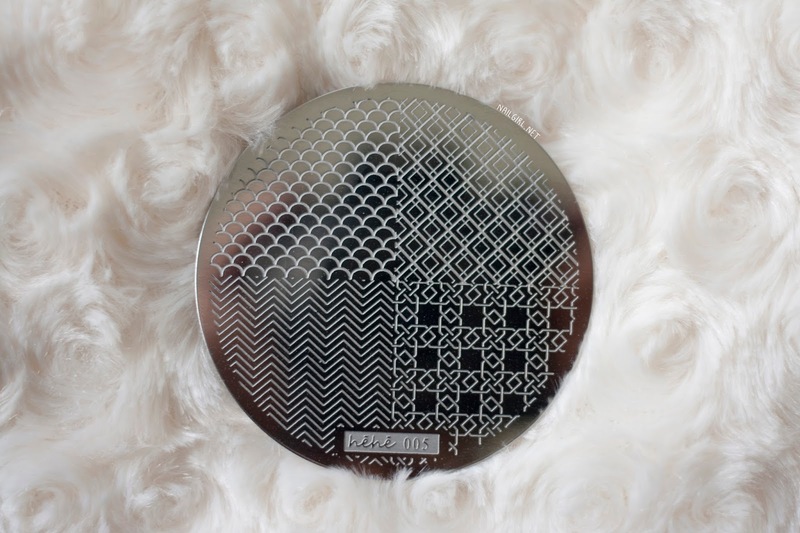 What are your favourite stamping plates to use? Let me know!